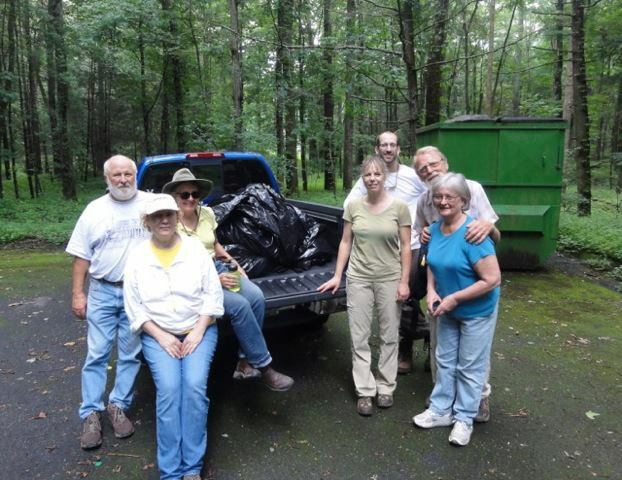 Undeterred by the muggy morning, Headwaters Master Naturalists – Ann Murray, RoxAnna Theiss, Rob Alexander, Dwayne and Pat Martin, Tom Long, and Gretchen Achenbach (joined by her husband, Ken) – tackled the persistent litter problem that seems to plague so many of our public lands. Working the stretch between Todd Lake and Camp Todd the group cleaned up over a dozen dispersed campsites and much of the roadside between them. Eight heavily laden contractor trash bags later we’d picked up cigarette butts, numerous bottles and cans, camp chairs, and even an improvised 5 gallon pail toilet. 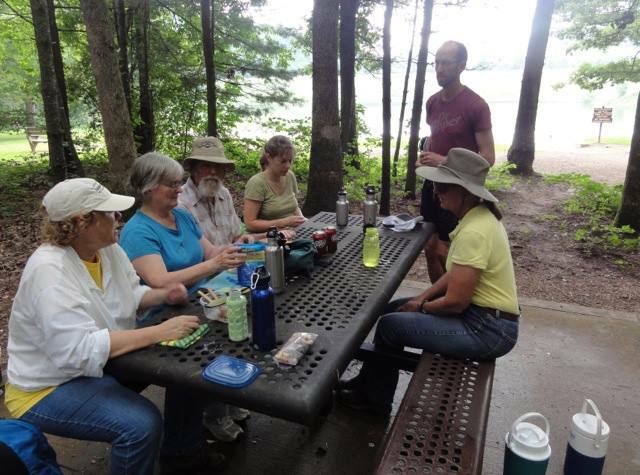 The Forest Service graciously gave us a fee waiver for use of the Todd Lake recreation area and, after the work was done, our trash team settled in for lunch at the Todd Lake picnic area. Many washed off the sweat with a cool – some would say cold – dip in the lake. 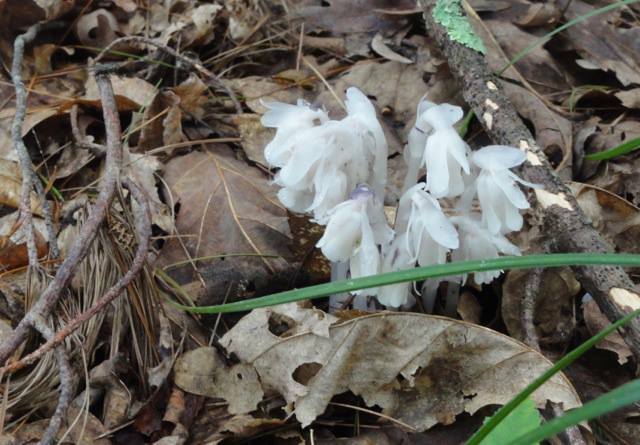 As master naturalists the conversation often focused on trees, butterflies, flowers, and mushrooms we saw along the way. The George Washington National Forest is quite a treasure for hikers, bikers, campers, birders, and anyone interested in nature. Headwater Chapter of Virginia Master Naturalists is pleased to be a small part in taking care of this special place.